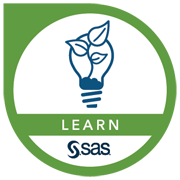 SAS Education offers a unique Training Plan Assessment (TPA) service. TPA will assist in accessing the knowledge and skills you require to use SAS software effectively. These assessments have the flexibility to be tailored to a departmental group or to one individual. They take advantage of the training formats that are most suitable, whether that is public classes, self-study tools, private formal training or mentoring services. We welcome you to schedule a planning session with our Education Specialist. At a high level prior to the assessments we will work with you to determine how you are currently using SAS software, what SAS modules you are familiar with, and what direction you need to go. Individual assessments will then be scheduled aligning with your outlined business goal. After the assessments are completed you will be armed with formal detail and summary documentation outlining the most effective training path. To schedule an appointment or to receive more information about this complimentary TPA service, contact the Education Department at 1-877-SAS INST or training@can.sas.com.